Last winter French Elle has published an installment on layering perfumes, giving helpful tips and providing eleven different suggestions. I indicate with an asterisk (*) the combinations I particularly liked. The translation from French is my own. If you follow these basic rules, you will quickly learn the art of layering. So, it is your turn to play! Choose scents that have something in common: for example, green notes, an accord of roses or an oriental vanilla base. Have fun mixing a heady and tenacious perfume with another that is light and airy, like a citrus cologne. Instead of choosing the same two concentrations of scent, first spray an eau de parfum in two or three places (wrist, neck, etc.) and then, for the amplified sillage, finish with a spritz of an eau de toilette. You can also choose a complex composition (which is the case with most major classics) and add another perfume that is much simpler: a rose will do wonders layered with a patchouli. Finally, play with textures. First, apply a body lotion on arms and chest, and once dressed, spray another fragrance behind the ears and inside the wrists. *2.  So Chic – Chanel No 19 Body Lotion (Emulsion pour le Corps) + Prada Infusion d’Iris (I tried this layering combination with Chanel No 19 EDT, and it worked really well, making for a fantastic rich, green iris. *4. Bobo New Genre – Juliette Has a Gun + The Body Shop White Musk Body Cream, an interesting musky amber. 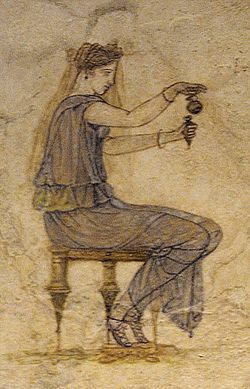 Image: Woman Pouring Perfume into Flask fresco, 1st Century, from Villa Farnesina. violetnoir: Hmmm…Parfum Sacre plus Narciso Rodriguez…I may have to try that one for a lift to my spirits! For the life of me, I can’t even imagine how that combo would smell, V, lol! Did you try it? 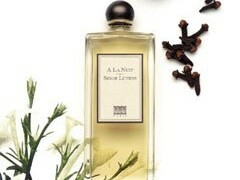 OperaFan: Love discussions on combination scent layering! Heidi: Shaal Nur body milk is great for layering, and it thankfully lasts longer than the spray. I’ve been mixing it with Chanel #19 and #5 parfum, Diorella, Parfum de Therese, Goutal Neroli, and Sonoma Scent Studio Sienna Musk. Suzanna: I was going to say it’s been a long time since we’ve seen No. 19 body products stateside! Would like to try the one with Eau d’Hadrien body cream, except I might switch out the By Kilian suggestion for Patou Sublime. Karen: After discussing what to layer with Ma Griffe in another discussion, I decided to have some fun and try a bunch of combinations! Some of my blind buys have just not resonated for me, despite me being sure they would – I cringe to admit that First, Mitsouko, and Ma Griffe have just not worked. So….. somewhere, perfumers have their head in their hands and are crying “Why! Why! Why!” as I try this with that and that with this. However, I will now have to brave the sampling from paper strips to myself (and my cupboard with a gazillion strips all over it looks like a crazy lady’s test site). Interestingly, layering First and Ma Griffe seems promising, as does First with Arpege. First and Michael Kors also might work and I’m holding initial judgment on Arpege with Ma Griffe, although it also holds promise. Karen: My measurements consisted of a spritz and a spritz! Not quite scientific! I did get brave and tried Arpege layered with Ma Griffe – so far it is wearing quite nicely. My challenge with Ma Griffe is (what I guess is) the asafoetida note, so far Arpege has smoothed that out.